Part of The Boring Company’s system to create transportation tunnels. Tesla and SpaceX founder Elon Musk lit up the Twitterverse Thursday with a series of tweets indicating that he received the go-ahead for an ultrafast underground hyperloop transit system that would connect New York City to Philadelphia, Baltimore and Washington D. C. in under 30 minutes. Not so fast, said Philadelphia city officials. The city of Philadelphia has not had any contact with Musk on this issue, and a spokesman said he wasn't sure what Musk meant when he referred to "verbal government approval" for the project. "There would be numerous hurdles for this unproven 'hyperloop' technology before it can become a reality," stated Mike Dunn, deputy communications director. "I'm completely unaware of any request to the District government to permit or review anything related to an Elon Musk project." Leif Dormsjo, director of the District's Department of Transportation, told the Washington Post. "This is news to City Hall," a spokesman for New York City Mayor Bill de Blasio told the Post. Musk's tweet does not address how passengers would board and embark in dozens of stops and still make the trip in 29 minutes. 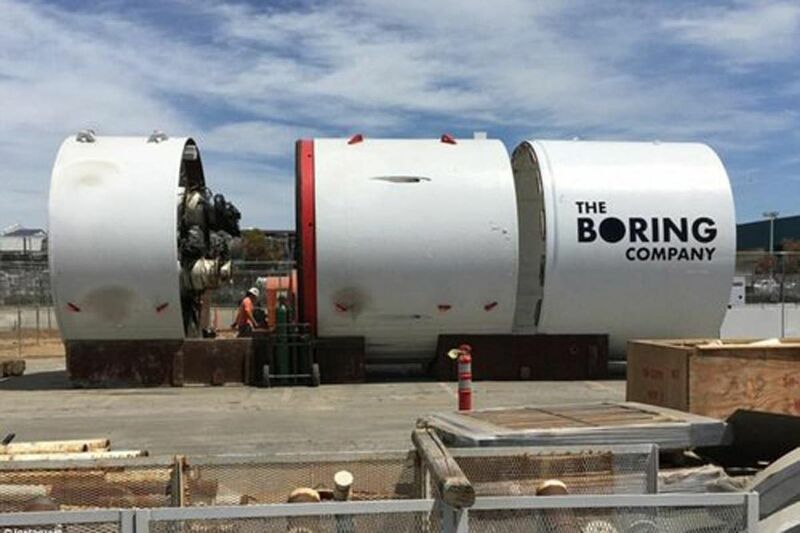 The Boring Company, founded by Musk in 2016, is a tunneling firm that has only recently tested its first prototype in the Nevada desert, according to TechCrunch. "To solve the problem of soul-destroying traffic, roads must go 3D, which means either flying cars or tunnels," the company states. "Unlike flying cars, tunnels are weatherproof, out of sight and won't fall on your head." Skeptics weighed in on the East Coast hyperloop idea immediately. Musk has long been pushing toward a tunnel project in Los Angeles. The traffic makes him crazy, he says. He described a system that would use an electric sled or skate to transport people or cars at high speeds through a series of multi-layered subterranean tunnels, as explained by Business Insider. A White House spokesman told Bloomberg Technology that the administration has had "promising conversations to date" with Musk and Boring Company executives. The administration stated it is "committed to transformative infrastructure projects, and believe our greatest solutions have often come from the ingenuity and drive of the private sector," the story reported.